Over the course of time, I have wondered whether or not those who have usurped power on this planet, these bloodlines, this cabal/oligarchy, whatever you wish to call them, have at all attempted, as part of clandestine projects of one sort or another, to understand the nature of immortality: To quantify it, to discover the 'bridge' between this life and the next, and to exploit it. In essence, to tap the 'fountain of youth', i.e. immortality. One curious thing that I have noticed is that those whose names we know best, the 'evil ones' who would do harm to life on this planet, do NOT age gracefully. If there is a common thread that seems to run throughout the lives of the PTW, it is the fact that, for all of their wealth, for all of their knowledge, they do seem to have a curious habit of withering away, shriveling up, and blowing away on the wind like decrepit old mummies. I have always believed that there is a good reason for this: Evil has a tendency to weigh heavily on one's body, mind, and spirit, and a life lived completely enraptured within a thick cloud of lies, deception, torture, murder, and the absence of morality must be a heavy burden for the human body and spirit to bear. Why makes you think the cabal have not cracked the mortality problem? Be Happy Searching People! Immortality is Just a Few Days Away! ET Body Has Been Found and Forensic tests are being done! Look at David Wilcock's site Now! I saw that and made some enquiries - I was told that those bodies are not hoaxes. The body is designed to expire, which is why DNA contains telomeres, creating a limit on how many times it can be copied. There is also the problem of isotopic aging of life units. They DO live a long time; Bush senior is 88. I would suspect the corruption is bioenergetic, from the excessive use of yang (disruptive) bioenergy. This guy is right on the mark. I heard rumors about all sorts of cloning techniques at Montauk. David used to kid me about being a clone, and not the original! Well, 2nd time's the charm. I've discussed with Aaron that it may not be possible for these people to ascend, simply because ascension requires a certain kind of bioenergy in large quantity. Their activities would preclude the formation and accumulation of that bioenergy. So what you are probably seeing is body swapping, or cloning and moving the consciousness into a new body, like the Asgard do on Stargate SG-1. tribs4u2 wrote: ET Body Has Been Found and Forensic tests are being done! Look at David Wilcock's site Now! Well, I'm disappointed with David... that's an LM skeleton, and he must know that from all the conversations we've had over the years. They are native to Earth, so it is no surprise they find them scattered around the world. Nothing "extra terrestrial" about a creature that evolved here. Heck, humans are more "ET" than they are! I don't have the science to back it, but I agree that bodies are meant to expire. It fits in perfectly with the idea of experiencing one 'side' of life through an incarnation, then the other 'side' upon the transition, guessing at least until 6th density consciousness is reached. One of the main ideas being thrown around with the New Age 5D junk is the crystalline body that never dies. Well, what do I know? 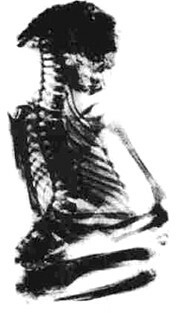 daniel wrote: Well, I'm disappointed with David... that's an LM skeleton, and he must know that from all the conversations we've had over the years. They are native to Earth, so it is no surprise they find them scattered around the world. Nothing "extra terrestrial" about a creature that evolved here. Heck, humans are more "ET" than they are! If it is an LM and it is native to Earth, would that then mean the story about the one that lived with the woman in Russia for three weeks but couldn't survive in our environment for very long is inaccurate? And if they really have two LM bodies and are doing scientific tests on them, isn't this a monumental discovery that will make disclosure a shoo-in? How could the findings be denied or dismissed? And what's the hold-up? Let's get 'er done! They're not really going to wait until the release of the documentary, are they? That would point toward the bodies being a hoax, in my mind. I spent a long time reading DW's most recent posts and when I saw the body I immediately thought it was a LM. It's really quite cute in my opinion. DW seems to get excited about stuff and jump to conclusions. Also he said the skull was fractured on the Russian one and it seemed that it was murdered rather than just dying from the earth's environment. Daniel, what's the deal with LM's and flying saucers? Or was that a hasty judgement given their funny alien (to us true aliens) looking body? CircleofOne wrote: I don't have the science to back it, but I agree that bodies are meant to expire. It fits in perfectly with the idea of experiencing one 'side' of life through an incarnation, then the other 'side' upon the transition, guessing at least until 6th density consciousness is reached. Might want to read this RS2 post on Life unit Aging and Rejuvenation, which starts with the Fountain of Youth and moves on to discuss why cells get old and die. My comments on "densities" are in the EDs & ETs paper. CircleofOne wrote: One of the main ideas being thrown around with the New Age 5D junk is the crystalline body that never dies. Well, what do I know? I've worked with crystals... they are hard, frozen, static and usually fragile. Doesn't sound like good "body material" to me! T11 wrote: If it is an LM and it is native to Earth, would that then mean the story about the one that lived with the woman in Russia for three weeks but couldn't survive in our environment for very long is inaccurate? Heck, with the chemtrails, pesticides, air pollution, chlorinated/fluoridated water, and EM radiation from cell phone towers, *I* have a tough time surviving in "our environment"! The environment isn't what it used to be, so I'm not surprised LMs can't hang around people's homes for very long. T11 wrote: And if they really have two LM bodies and are doing scientific tests on them, isn't this a monumental discovery that will make disclosure a shoo-in? How could the findings be denied or dismissed? And what's the hold-up? Let's get 'er done! They're not really going to wait until the release of the documentary, are they? That would point toward the bodies being a hoax, in my mind. They should be focusing on the giant bodies; the Annunaki descendants. At least they ARE extra-terrestrial in nature. 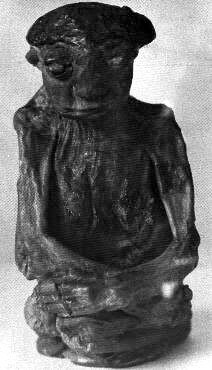 LM bodies have been found for centuries; heck, there was one on display in Casper for years. See: The Pedro Mountain Mummy. 6.5 inches tall.